Please read these terms of service (“terms”, “terms of service”) carefully before using MonaghansLandscaping.com (the “service”) (“us”, ‘we”, “our”). This website is not intended for, nor is it acceptable for use by any member residing in the European Union. If you reside in the European Union leave this website immediately. Content published on this website (digital downloads, images, texts, graphics, logos) is the property of MonaghansLandscaping.com and/or its content creators and protected by international copyright laws. 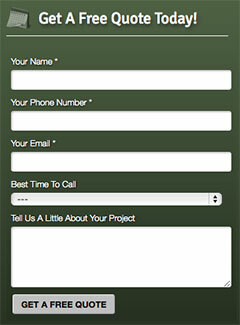 The entire compilation of the content found on this website is the exclusive property of MonaghansLandscaping.com, with copyright authorship for this compilation by MonaghansLandscaping.com. By visiting this website, you agree that the laws of the region of your residence, without regard to principles of conflict laws, will govern these terms of service, or any dispute of any sort that might come between MonaghansLandscaping.com and you, or its business partners and associates. When you post your content, you grant non-exclusive, royalty-free and irrevocable right to use, reproduce, publish, modify such content throughout the world in any media. Providing landscaping services in the Portland Metro area for over 25 years, offering retaining walls, sod lawns, paver patios, sprinkler systems, fire pits, and more.